The Pirelli Scorpion Trail II has an aggressive profile tailored for adventure. It is distinguished by very good performance on wet surfaces. Fantastic tyre in dry and wet conditions. phenomenal levels of grip from the front tyre even with a pillion and luggage. Lasted well, 5000 miles - never achieved such mileage from a tyre before. Best tyres Ive had on a bike in 30 years for all round grip in wet and dry conditions. Extremely sure footed without. Highly recommended without reservation. This is the third set of these tyres purchased. 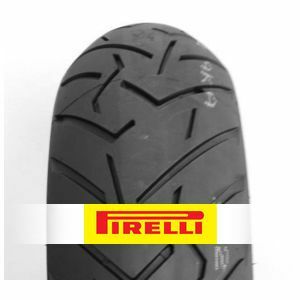 They are a great all round tyre for an adventure style bike used mainly on road. I have 10000 miles on these tyres and am only changing them because of a planned European trip. To review the Pirelli Scorpion Trail II, you first have to log-in by clicking here.